About 7 years ago when I bought my very first domain, I had no clue how to host a website. I wondered, “how in the world do I get something online so that others can see it”? I was such a novice, that I didn't know what a nameserver or hosting account really was. Now, if you fast forward to today, I've built hundreds of websites and tried out nearly a dozen different hosting companies. The process of buying a domain, pointing the nameservers to my hosting account, and getting a site up and running are now second nature. For a long time, I have recommended Bluehost as the best company to go with; but after some recent research I'm throwing another recommendation into the mix. Let me be clear first: THERE IS NOTHING WRONG WITH BLUEHOST! I still use the company and they are excellent! I have nothing bad to say, and they are the best hosting company I've used as far as ease of use and features. If they are so great, then why would I recommend anything different? Price. When it comes down to it, hosting is almost a commodity nowadays. You can get essentially the same package with cPanel, WordPress 1-click install, 99.9%+ uptime, etc almost anywhere now. The 2 aspects that hosting companies can really differentiate themselves on now is price and customer service. Bluehost is usually priced around $6.95/mth. And you can only get this price if you pay a year or 2 at a time. If you pay month to month, the price will be more than $6.95/mth. Sometimes you can get a discount on the price below this with a special offer, but $6.95 is normal. So, if you pay 2 years up front – you are looking at $166.80. And this is often only the first cycle – so after the first couple of years, you will renew at the higher/normal rate. On the other hand WebHostingPad, can be purchased for as little as $1.99/mth right now. The price will be more if you don't pay for 2 years up front, but it would never be $6.95/mth. I recently signed up for a WebHostingPad account, and got in for a full year of hosting (after taxes, fees, etc) at a total charge of: $47.88. In a nutshell, Bluehost is cheap, but WebHostingPad is much cheaper still. I like that. Here's the deal: both Bluehost and WebHostingPad essentially offer the exact same features. They are both shared hosting accounts that offer unlimited Addon Domains, unlimited email accounts, unlimited ftp accounts, and more. They both offer 1-click install of WordPress as well (Bluehost uses Simple Scripts and WebHostingPad uses Softalicious). Overall, I think both Bluehost and WebHostingPad are great options for shared hosting. I've been with Bluehost since 2005 and haven't ever had any major issues. Any issues I've had was resolved quickly by their excellent customer support staff. On the other hand, I've been with WebHostingPad for a couple of months, but so far I'm impressed. I've had no issues, and for the much lower price, its a great option. I did email their customer support with a question and they got back to me very quickly; so they also appear to be backed with great support. Click Here to try out Bluehost! Click Here to try out WebHostingPad! I really think that either hosting company is a great option for most people. So, the choice is yours based on some of the things I've mentioned, pricing, features, and customer service. Have anything you would like to add? Let me know below. Interesting. I am happy with Bluehost but the price difference is pretty significant. I’ll most likely look into Web Hosting Pad sometime in the future. I’ll check Web Hosting Pad out, thanks for the heads up. There are alot of good hosts out there, I’ve tested many of them because I use so many for my blog link network. If you go to the Web Hosting Talk forums, they have a section where hosting companies post special offers and coupons. Yes, this is a pretty significant price difference indeed. I got away from Blue host because of their more recent CPU Throttling, it really slowed my websites to a crawl. Hello Spencer! In recently joining the content creation group I am using blogger as I am new and it’s pretty easy to navigate. However, after reading your post and realizing I can get web hosting fairly cheap, it is worth experimenting with. I just signed up with webhostingpad through your link (the information you provide is priceless and I am happy to click on your affiliate links). I am not sure what to do next but I’m sure I will figure it out. I will keep everyone posted on my experience with webhosting pad. I will say, I saved 15% by going through your link thanks! P.S. I still plan to launch my blog in blogger while using webhostingpad with wordpress to launch a blog in the same niche and see what I like better, wordpress or blogger! Thanks Jason! The investment really is so small nowadays to get your own domain and hosting, that its a pretty easy decision. If you have any further questions about getting set up, let me know. Thanks for sharing this with us, Spencer! This post couldn’t have come at a better time! I am with HostGator and have been with them for over 3 years and still paying $9.95 a month. I have been wanting to switch for the longest time and just haven’t done it and then your post pops-up in my email! Haha! Funny! I’m heading over to check out WebHostingPad now! Hey Stacy – thank you…glad I could help! Shiet I was looking for a good solution. I have a bunch of sites that are no longer making any money hosted on an SEO host that I need to move outta there. The SEO host is costing me $50 a month..which is the price of this WebHostingPad for a whole year. Will do more research and buy from your link if I end up buying. I’ve heard that Bluehost does not give you the option to upgrade to a dedicated server should you ever need it. (I understand many of us will never need one, but still…) How does WebHosting Pad compare in this instance? Travis – that’s correct that Bluehost does not have a dedicated server upgrade. WebHostingPad does have VPS options that you can upgrade; so definitely more options if you need to upgrade. When judging reliable web hosting companies, it usually comes down to their customer service and technical support in the heat of the moment because it is then when company tends to reveal itself and so far I have learned on mistakes of others when it came to pricing as more often than not it proved to reflect reliability. I am not claiming anything about WebHostingPad here Spencer because I haven’t used it. But BlueHost was my first web host I’ve used and been happy with for a couple of years back in 2007 and then left HostGator due to malicious code injection to my server. I doubt it was because of my negligence but technical support merely told me to figure it myself and report back when I fixed it so they will reinstate my account. This was the reason I’ve migrated to HostGator and still with them ever since. Although I might consider BlueHost soon again for diversification. Thanks for sharing, I am always looking for good inexpensive hosts. I haven’t tried WebPad but based on your review they look like they are worth a shot. I still use BlueHost but they are limited in how they can support my site while it grows. If I have a site on bluehost and look to increase the hosting power when I get say 20k visitors per month I have to move servers & companies. 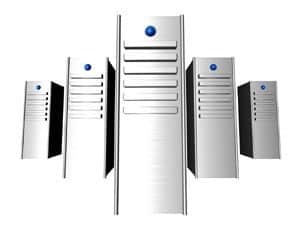 Where as with other hosting companies I can stay in the same company and they can help move to a dedicated server. This is a good problem to have, but its very frustrating when you are trying to grow a site and dealing with it being down due to server moves. Thank you Spencer!. I’ll give it a try through your link. One question: When should one consider moving to a dedicated server? Does it depend on the monthly number of visits? or the bandwidth used?. Which is the criteria you use to move to a dedicated server. Bandwidth is often the issue. 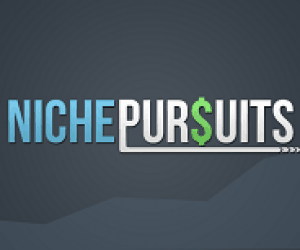 I had to move NichePursuits to a VPS server about a year ago…now on Servint.net. I noticed that my site was not as responsive during peak times or right after I sent out emails…that made me switch. I’ve come across WebHostingPad’s name multiple times on many webmaster forums, almost always in a negative context. The most common complaint is that WHP cancels accounts without warning for exceeding CPU usage, when the websites in question were low traffic and non-CPU intensive. I haven’t used them myself, just wanted to share that. I too have used BlueHost (and their sister company HostMonster) for many years without issue, and have also used WebHostingHUB more recently. WHH is my favorite at the moment, with very nice support. They’re also the first shared host I’ve found who will allow my to have multiple installs of WP multisite. I also am satisfied with a VPS I have with hostamus. Wasn’t my intention to rain down on your WHP promo, just felt the need to share that bit of info. Every webmaster should do a bit of research on their host and it’s treatment of clients. If you’re spending less that $5 a month, do even better research – “you get what you pay for” etc. The number one issue people should look at when choosing a SHARED host is how trigger-happy the host is with their account termination button, and whether you’ll get a heads up before they take your website (and income stream) offline. Spencer, sorry but I’ve have 2 bad experiences in 2 days. First with bluehost, they were dreadfully slow when administering the control panel and the support guys didn’t seem very clued up re a DNS issue I had. I closed that and signed up with WHP. Unbelievably they’ve had 2 outages this morning. The second one meant that I lost my work as I couldn’t save it. I think you need to do a lot more homework before recommending these guys. Hostgator for me, is streets ahead of the others. I have yet to try webshostingpad. I used to like hostgator but they have shady business practices such as not paying their affiliates. Also, when I was with hostgator, one of my websites went down and it took them days to finally help me. Hi, Spencer, thanks a lot for such a valuable site, I’ve been reading it for the past week almost non stop, you really got me hooked on this niche stuff. I have one question, maybe you or someone else here can reply: if I want to focus on local market (non-US), should I have a local hosting and local domain name? Will it help to rank in local searches better? This may be a great approach to get involved which has a excellent business online. readers and purchases climb higher. Second, it really is both the url of your website and the the business.